These rural houses are located in a privileged natural setting, in the Sierra del Segura, next to the River Taibilla, in the province of Albacete. The hamlet of Vizcable has been kept practically untouched for over 50 years, surrounded by streams, mountains and orchards. The house Villa Presentación has been recently renovated and sleeps up to 8 people. It is fully equipped (fireplace, heating, firewood stove, barbecue, TV, microwave, washing machine, terrace, etc. ), and every minor detail has been carefully looked after to offer a comfortable and relaxing accommodation where you will be able to be in contact with nature in its purest state. 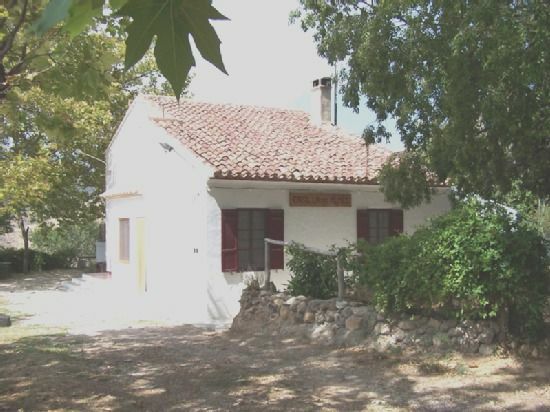 The house Casilla del Alméz has been recently renovated and sleeps up to 8 people. It is fully equipped (fireplace, heating, barbecue, TV, microwave, washing machine, terrace, etc. ), and every minor detail has been carefully looked after to offer a comfortable and relaxing accommodation where you will be able to be in contact with nature in its purest state.